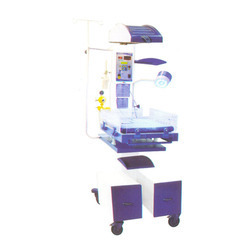 Prominent & Leading Manufacturer from Delhi, we offer sunshine phototherapy unit, restohealth (bubble cpap system), open care system and transport incubator. In the new bom baby i.e birth to one month, Jaundice can pose a serious problem, because high level of the billirubin can permanently damage the brain. The indirect billirubin, which is not water soluble can be decomposed to a harmless metabolic, which is water soluble, does not cross blood brain barrier and is rapidly excreted in the bile and urine and so does not accumulate. This is achieved by exposing the infant to bright light ( approx. 4.5 micro watts/sq.cm/nm) in the range of 420 to 480 nm wave length. 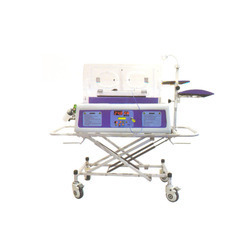 Restohealth is a unique system that can deliver high flows of Air or Oxygen ranging from 1 to 15 LPM. 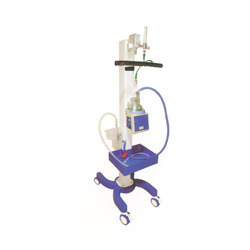 Clinical studies have proven the usefulness of high flow of gases when warmed at body temperature and humidified up to 99 to 100% relative humidity and delivered through nasal cannula. Heat and Humidity prevents airway water loss, airway cooling, thickened secretions, nasal irritation & bleeding. Open care systems allow you to efficiently care and provide advance warming capabilities while using one touch operations to simplify procedures. 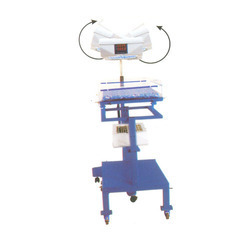 Advance microprocessor controlled system with self check on the electronic circuitry skin / air / manual control. The controller features a display that is easy to read at any angle during transport. Display for air and skin temperature help you maintain, control and provide essential information about the infant's thermal support. Microprocessor controlled system with air and skin modes of operation. Display both temperatures i. e. Air/Skin temp along with Set temp. Soft touch operation with digital display and extensive alarms.